Pelling is a hill station in West Sikkim. It has the best view of Kanchanjangha Range, visible at the most close quarters. The city routes to many nearby tourist attractions and offers good standard of accommodation and food. If you are a passionate traveler, you cannot afford to miss it. Get a glimpse before planning ahead for your next vacation. The name of Pelling sounds quite foreign, but it is right there in our own country India. As a small town, rather say just a patch in the West Sikkim district, Pelling just allures you in, and the landscape itself makes it a worth visit along with other surprises which you might not be expecting in such a humble turn of the Himalayas. The place is well-known for a Helipad situated at the top of the town, but no, there isn't any flight service regularly present there as of now. You reach Pelling at an altitude of 7,200 feet from the sea level which is at a distance of 10 km from Geyzing, the district headquarters of Sikkim. 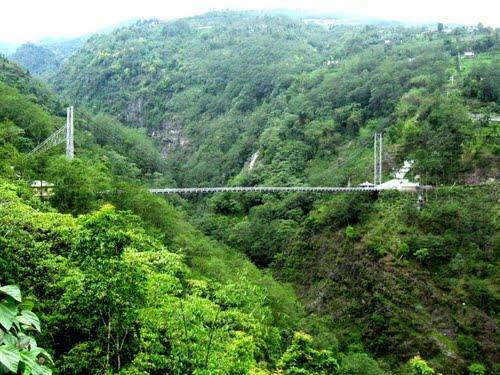 It is 115 km from the state capital Gangtok and around 135 km from Siliguri, which is the nearest big railway junction. You can reach Pelling either from the airport Bagdogra, the nearest railway station New Jalpaiguri (Siliguri) and from there you get regular tourist buses and jeeps. It will take about 3 and a half hours to 4, depending upon the traffic condition. A quiet and serene pathway takes you through sometimes steep and winding roads of the hills. The hotels are neatly placed in a line which is fortunately not a cluster yet. The same road will take you up till the Helipad, and even before reaching there you will be accompanied by the stunning view of the Kanchenjunga Ranges will a golden cap mounted on each peak if you travel in the daylight. Once you reach the Helipad, you see another line of really good looking hotels which are purposefully matched to the beauty of the place and now have become a part of it. From there you get to see to different roads going to two different directions, and if you follow them by turn, one would reach you to the local Buddhist monastery, and in the way you have to cross a small bridge that goes over a small stream. All these makes a fairy-tale alive and the monastery would take you back to a time immemorial. Pelling is a place from where you can visit a number of amazing places. Apart from the local monastery, there is this ancient Pemayangtse Monastery, the holy lake of the Budddhists named Khecheopalri Lake, the rock garden and Rimbi waterfall, Kanchenjungha Falls, the archaic quaint Singshore Bridge, and the Chhange Waterfalls. The monastery is on the top of the hills in the west district of Sikkim. It is there just at the entrance of the popular Dzongri trek route – that takes you to the Yuksom-Dzongri-GoechhaLa and the total trek is of 46 km. It is 7 kilometres from the Gyalshing village coming on the main Pelling road and is around 44 km away from the main city of Pelling. There are two parts of the Pelling city, the Upper and the Lower. The Upper Pelling on the Geyzing-Pelling road has a stupa, where there is a bypass track of 1.3 km leading straight to the monastery. In the monastery there is conducted a beautiful and spectacular Cham dance festival that is held every year on the 28th and 29th day of the 12th lunar month of the Tibetan calendar, that comes on February. The lamas perform by dressing up in Mahākāla and Guru Drag-dmar with colourful costumes. Pilgrims from every part of Sikkim visit the monastery in this festival. Other locations include Yumthang, Namchi, Ravangla, Yuksom, Rinchenpong, Dzongri and Hee Burmiok and many more. Khecheopalri Lake, which was originally known as Kha-Chot-Palri that means the heaven of Padmasambhava is a lake which is located near the Khecheopalri village, going 147 kilometres down in the west of Gangtok placed in the West Sikkim district of Sikkim. 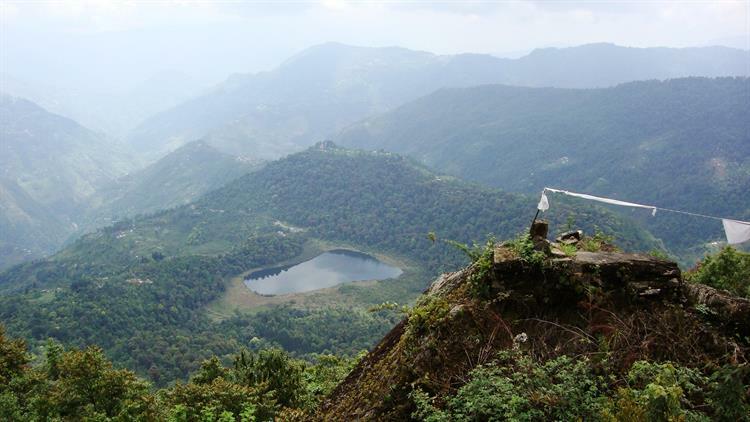 The lake is 34 kilometres away from the northwest of Pelling town. It is the lake which is held sacred for both Hindus and Buddhists, (an I will include the clan of tourists mainly before the religious ones). It is believed to be a wish fulfilling lake. The local name for the lake is Sho Dzo Sho, that means "Oh Lady, Sit Here". The lake is located in the midst of the Khechoedpaldri hill, which is also known as a sacred hill. You have to walk into the pathway to the lake on foot, as they don't allow vehicles inside. But that pathway is through a picturesque scenery that would keep flashing in your memory even when you would be busy in the city crowd. Just 12kms away from the main city of Pelling comes the beautiful Darap village and about 5kms further down from there is the Rimbi River Bank which falls on the way to Khecheopalri and Yuksam. In between you can take the glimpse of the Sewaro rock garden and the village. The Rimbi River is simply breath taking but in winter the water decreases and becomes gentle. However in monsoon the river flows forcefully and violent, and at that time the tourists are advised not to try swimming or touching deep in the river. Pelling has a number of good hotels with all latest amenities. We stayed in Sonamchen and in Chiminda (in two different trips). Both were excellent, but my preference goes to Sonamchen because of its location and the exquisite balcony which itself stands like a hotspot for tourists as you can see Kanchenjunga just in front of you, if you stand there, and the hanging balconies make you feel like standing on air almost like a rope-way. The peak season is October and November, but from January till March, it is potentially the snowfall time. Round the year, the place is uniformly comfortable. Visiting Pelling was one of the most exquisite one among all my traveling experiences. It is still a place where you get an ambiance which every traveller would look for. We had good food, good stay and fantastic trekking through the routes that allured us to walk through. The serenity, the beauty, the spectacular view all added to the comfortable weather which even kids and elderly people would enjoy. It is an ideal place for a wholesome combined family trip and you would feel the warmth of the behaviour of the local people, when you bid them goodbye.